I really love snowboarding games. That might have something to do with my snow-filled childhood growing up in Canada (representation! ), but I distinctly remember the high speed and trick-fueled gameplay of late ’90s gems like Snowboard Kids and 1080 Snowboarding catching my eye and heart like no other sports game could. But in recent years, it seems these games have vanished. Sure, a snowboarding mini game might show up in the occasional sports collection game – something like the Mario & Sonic at the Winter Olympics series – but full blown snowboard games now seem like a relic from a far gone era of gaming. The last real full fledged snowboard game was 2012’s SSX for the PS3 and Xbox 360. Before that, Wii owners had Shaun White Snowboarding: World stage released all the way back in 2009. That’s two games in six years. Between 1996 and 2002, over 20 snowboard games were released across multiple consoles within that same six year period. So what happened? 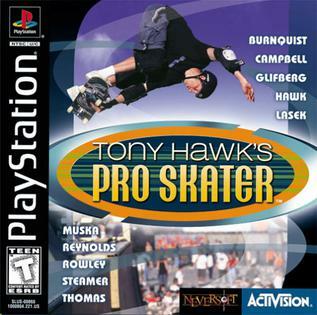 Competition blossomed a myriad of sports games from ATV Offroad Fury to Jet Set Radio until eventually a champion franchise emerged, one that would manage to pull in more players to the world of extreme sports games than ever all while simultaneously taking attention and revenue away from the competitors: Tony Hawk’s Pro Skater. Pro Skater was a smash success, spawning a handful of annualized sequels and spinoff titles that kept Neversoft and Activison’s business booming for the better part of a decade. While great news for the game’s developers, Pro Skater’s success pulled game sales away from a handful of competing extreme sports games, effectively shrinking the market. But eventually, the Pro Skater honeymoon phase ended. The annualized and seemingly endless release cycle of Tony Hawk games seemed to wow gamers less and less with each installment, and created a sense of consumer fatigue that saw sales figures for Activision’s golden goose decline. In 2009, the series hit an all time low with Tony Hawk Ride, a peripheral based Hawk game that placed players atop a plastic skateboard controller. The game was panned by critics and largely ignored, selling a disappointing 114,000 units in its first month in the US. Thanks to a handful of sub-par games by the industry leader, the extreme sports craze had calmed down, and gamers were left tired and resentful of the genre. Developers and publishers became aware that the genre was no longer as lucrative as it once was, and so began the long drought of extreme sports titles – snowboard games very much included. So what happens next? Will snowboardfans ever get another chance to race down the digital slopes? It doesn’t seem likely we’ll see the Triple-A snowboard games of yesteryear, but there’s always the possibility of the torch being passed on to smaller scale indie projects. Trials: Fusion and this year’s smash hit, Rocket League, are smaller game projects that both border on the absurd and have, in some sense, reignited the same flame of unique and high action sports gameplay that attracted so many players all those years ago. Developers take note: the market is empty and we at Button Masher TO are desperate. If you can present us with a unique new spin on the snowboarding gameplay we’ve been longing for, then hey – we’ll get on board.